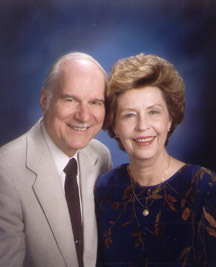 Charles and Dianne Gyurko, 1983 CFNI graduates and founders of CFN-Japan Bible School (CFN-J), enjoy testifying of God’s love for the Asian people. The story of their journey to Japan’s metropolitan city of Sapporo, on the beautiful northern island of Hokkaido, demonstrates that God is still longing to reveal Himself to the Japanese. “I am a former Catholic priest who spent 12 years as a missionary in Japan,” says Charles. Saved at the age of 12, Charles felt the call of God on his life to be a missionary. After graduating from high school, he entered a missionary society and became a priest, assigned to ministry in Japan in 1961. Recalls Charles, “I had heard the Great Commission of Jesus to ‘Go’ … but I did not hear His command to ‘Wait, until you receive power from on high.’ So I went to the mission field with good intentions, but with no Holy Spirit power or direction!” Charles says that during his 12 years as a missionary priest, he knew “something was not working right.” There seemed to be an abundance of discouragement and little fruit. By this time, marriage was on the mind of this 45-year-old bachelor. “I asked three pastors from a local church to pray that the Lord would send me a godly wife … and one week later I met Dianne Arthur and her children at church!” says Charles happily. They wed one year later, decided to attend CFNI, and found there was still a missionary calling on Charles’ life. After graduating from CFNI, the Gyurkos sought direction. “The Lord spoke to us through Scriptures containing the words: north, sea and way,” Dianne recalls. “Charles, who understands ‘Kanji’ — the Japanese system of writing characters — recognized immediately that the English translation of the Kanji characters for the island of Hokkaido reads ‘north sea way.’ It was like receiving a road map to the exact destination God had chosen for us!” The Gyurkos then opened the first CFN-affiliated Bible School in Sapporo, the capital city of almost two million Japanese in Hokkaido. Charles and Dianne clearly recognized that the Lord desired a great harvest of souls in Japan, but first He needed churches and Christian leaders to become united — the nets of Christian relationships required mending. “The Church was splintered,” Charles recalls. “There had been little bonding, or loving fellowship among the general body of believers in Hokkaido, or Japan at large.” The Gyurkos recognized that bringing unity among the believers should be a matter of priority, and prayed the Holy Spirit would use the Bible School for that purpose. CFN-J began reaching out to the community by holding seminars, worship conferences, and evangelistic crusades. “The greatest miracle to us now, is to see how the Lord has continued to use the Bible School to become a focal point for Japanese and international Spirit-filled believers and pastors, to meet and fellowship with one another,” says Dianne. “It’s wonderful to see them loving and blessing one another in the power of the Holy Spirit — praising God together!” CFN-J’s influence is also being felt throughout Japan and extends far beyond Hokkaido’s island shores — through student evangelistic outreaches to Mexico, Thailand, Malaysia, Cambodia, Russia, the Philippines, and other nations. In 2001 CFN-Japan Bible School — guided by the Christ For Asia Evangelistic Fellowship (CFAEF), a Board of four local pastors presided over by Charles Gyurko — appointed former student and long-time staff member, Toshifumi Kajikawa, as director of CFN-J Bible School. Used by permission, Deborah Anne Perez, Christ for the Nations magazine, 2001.